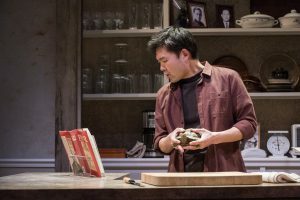 Everyman Theatre announces their 2017/18 Season and it’s filled with pieces by award winning authors as well as local folks, as well! Looks like an exciting season! 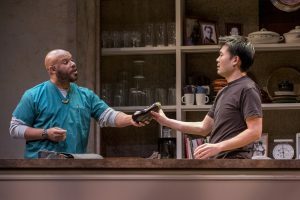 Baltimore, MD – Following up on a successful year accentuated by record-breaking subscribership and trailblazing new work, Everyman Theatre announces the six-play lineup for its 2017/18 Season, celebrating actor-driven storytelling through a lens of global diversity and stories inspired by true-life events. The season includes acclaimed works from four women playwrights, including the poignant, lauded Intimate Apparel, from two-time Pulitzer winner Lynn Nottage, Lauren Gunderson’s ruckus revisionist comedy, The Revolutionists, set during the Reign of Terror, only the second production of The Book of Joseph, the locally-inspired new play by Karen Hartman, and a co-production of Julia Cho’s deliciously touching drama Aubergine, in association with Olney Theatre Center. 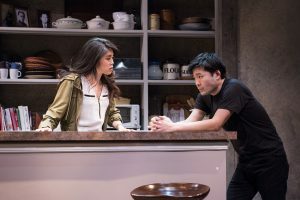 Everyman will also stage two revivals next season, including Eugene O’Neill’s Pulitzer Prize and Tony Award-winning masterpiece, Long Day’s Journey Into Night and, as previously announced, the gripping, Tony Award-winning drama M. Butterfly, by David Henry Hwang. What begins as an ordinary summer day at the Connecticut home of the Tyrone family morphs into a night filled with foggy, drink-laced demons where long-buried secrets are revealed – and once exposed cannot be ignored. 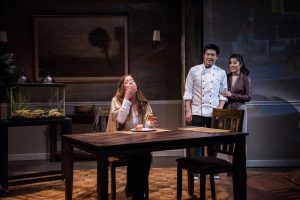 A long-revered showcase for tour-de-force performances, Eugene O’Neill’s Pulitzer Prize and Tony Award-winning masterpiece (published posthumously) lays bare what we all know to be true: the ardor of familial love cannot always protect you. 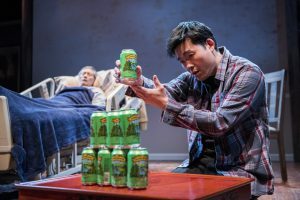 Long Day’s Journey Into Night is an autobiographical insight into its late, legendary playwright – and a compassionately brutal look at one family’s struggle to fight for and love itself. 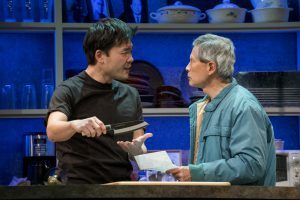 When words fail, a home-cooked meal transcends differences in this touching story of intergenerational connectedness, forgiveness and the sweetest spice of life: love. As a Korean family struggles to relate across emotional and cultural divides, it’s the ingredients they share in common that lead to understanding. 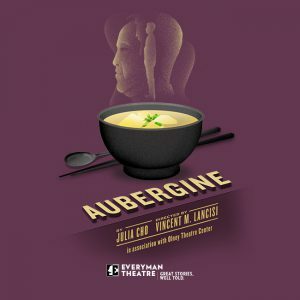 A perceptive and lyrical exploration of the act of cooking as a form of expression,Aubergine is a mouthwatering meditation on the beauty of life where hope is no mere ingredient—it’s the main course. Like so many great mysteries, it all began in an attic with a dusty old suitcase… The discovery of a stash of letters stamped with Swastikas opens clues to an untold family history spanning multiple generations in The Book of Joseph—the gripping true story of resilience and truth-tracking determination spanning Baltimore and beyond. Richard Hollander’s book, Every Day Lasts a Year: A Jewish Family’s Correspondence from Poland, is brought to the stage in this mesmerizing new adaptation that restores a family’s uncharted legacy—celebrated by revelation and remembrance. Subscriptions ($90-305) are now available for the 2017/18 season. Current subscribers must renew their subscriptions by June 18, 2017 in order to retain selected seats. New subscription orders will be accepted starting July 1, 2017. Single tickets go on sale August 1, 2017. As part of Everyman’s ongoing commitment for making theatre affordable and accessible to a wide audience, new for the 2017/18 season is an expansion of the popular “Check Us Out” subscription package (available exclusively to new subscribers) which includes either Tuesday evening or firstSunday evening performances for all shows, for $100 or less. 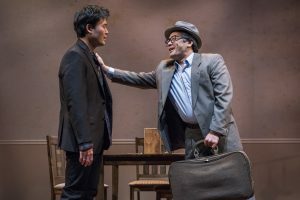 Find more information, pricing and buy tickets online (www.everymantheatre.org), by phone(410.752.2208), or at the Everyman Theatre Box Office (315 W. Fayette Street, Baltimore, MD 21201). MSAC provides financial support and technical assistance to non-profit organizations, units of government, colleges and universities for arts activities. Funding for the Maryland State Arts Council is also provided by the National Endowment for the Arts, a federal agency. Vincent M. Lancisi is the Founding Artistic Director of Everyman Theatre; Jonathan K. Waller is the Managing Director. For information about Everyman Theatre, visit www.everymantheatre.org.